When it Comes To Energy Efficiency Trust the Eco-Shield Blanket! DO YOU HAVE TROUBLE KEEPING CERTAIN ROOMS IN YOUR HOME AT A COMFORTABLE TEMPERATURE? If you do, it is likely that a vast amount of energy used to heat and cool your home is escaping right over your head - and the main cause of this energy loss is inadequate insulation. In fact, government reports show that 45 million homes in the United States lack the proper levels of insulation according to today's energy standards. Stops over 97% of Radiant Heat Transfer! 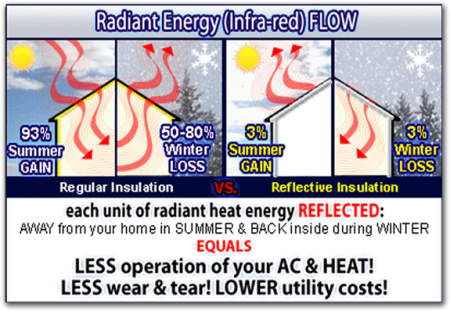 Designed to work on its own, or in conjunction with your existing insulation, Eco-Shield-Blanket utilizes a "Radiant Barrier" technology that was originally developed by NASA to make your home more energy efficient. 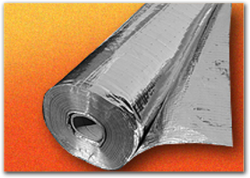 This reflective foil insulation technology actually reflects harsh outdoor temperatures of both winter and summer, providing a pleasant indoor environment. There are no dangerous fibers and it is hypoallergenic. Eco-Shield-Blanket needs no maintenance or replacement and pays for itself faster than any other home investment. We were unhappy with the cost of utilities going up every year and felt like we were being taken advantage of. After Eco-Shield-Blanket was installed in our attic we saw a noticeable drop in our cost to maintain a comfortable temperature inside our home. This is a great Product and we love it. (352) 575-8156 ask for Al! 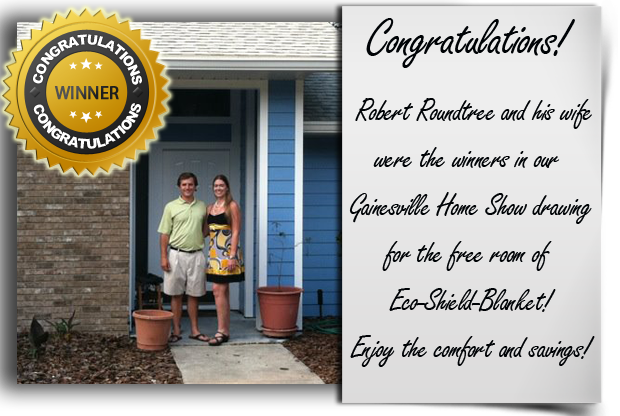 AN ENERGY EFFICIENT HOME MEANS MORE MONEY IN YOUR POCKET! © Copyright Lower Heating and Cooling Bills With Eco-Shield-Blanket.